Xavier is a radio DJ who triggers a chain of consequences that reach out across the city as invisibly yet decisively as the radio waves he broadcasts. As events build momentum Watson settles into a narrative that is at once droll and devastating, littered with insightful analogies. Having been aligned with David Nicholls’ One Day, Eleven had a lot to live up to. But it’s true that those who enjoyed the former should engage with the latter. Despite providing less suppress-a-giggle-on-the-tube comedy, Watson finds his strength within a multitude of relatable characters and thought provoking circumstances. 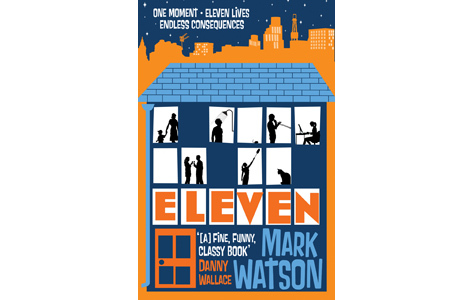 You are currently reading Eleven by Mark Watson Review at booksbeccabuys.